All I know is that the few times I had to call, I had good customer service. Took one star away because they went from 10% to 5% for the 5% back in points at time of redemption. I got this card for when I was going to Europe. It's pne of the few cards that has a PIN. This necessary when purchasing from a kiosk. Especially when its a train ticket and there isn't a counter nearby. 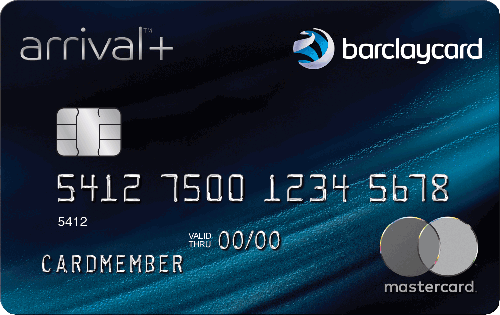 Don’t bother with this card unless you like being in a good standing and having your card declined without reason. I have had this card for a year and have had it declined 3 times without a legit reason. The first time this happened to me was after I made a large purchase ( flooring) and immediately paid my 10k balance off. My payment cleared through my bank and my card balance was at a 0 balance yet they continued to put a 7 day hold on my account for “making a large payment”. Seriously?? The second time was without any warrant. Account in good standing, with double min payment made every month. The third time was after I shopped online at a department store that was out of state, and then tried to use my card at the grocery store. The deemed this shopping as “suspicious” and instead of calling to ask me about it, put a hold on my account. If you are a customer who likes to use their card to make purchases v as a slot holder in your wallet then this card is not for you. Great sign on bonus if spend certain amount, 2 points per dollar spent. Can use points to pay yearly fee. And when redeeming points 5% back in points. Sure they cut redemption from 10% to 5%, but it is still an excellent card. On certain excursions and stores while on vacation it has showed up to where I can use points to pay for excursion also. Great card love it!!! It’s a keeper. And I use allot of travel cards and this is the only one I hold onto. Great for people who travel. Easy to use as the site and app are very friendly. Welcome bonus is very high compared to other cards and annual fee is slightly lower. There are other small perks to this card that get overlooked: the 5% points back on each reward redemption for a travel credit and the RewardsBoost site, where you can get extra rewards (sometimes up to 5 points for every $1) if you make online purchases from specific retailers. The 2 points per every $1 still works with it. As long as you're using your points for travel credit, it's definitely worth it! I've also had to refute several transactions of mine due and the service to do that has been very easy and the service is very nice. Each time they credited back the amount I spent without much questions. I've had this card for a couple of years. At the time I applied, there was a 40K bonus point offer for spending a certain amount. I can't remember anymore, maybe 3 or 4K. I recieved that which was worth $400 statement credit towards travel related purchases. The 5% back in points at time of redemption is also nice! I love the ease of use of the site and its redemption process. The points add up fast which is also great! Been with this card for long while. As this is to be true. I had this card declined several times due to suspicion of fraud. Several times I called Barclays to let them know of the purchase and amount. Still to have this card declined at pos. Besides the issues their customer service is highly unprofessional. I'm hoping this hasn't happened to other card holders w/ Barclays. I closed this account due to the bulls***. I'm with Capital One Venture card. No issues or problems to report at this time. It is annoying when it happens. I took a surprise trip a few weeks ago and used this as my main way to pay for everything. I drove 1200 miles one way for a visit and on my last stop on my way home it was declined for suspicious activity. I don’t like it. I guess it is better than them not doing it if it is hacked. Same thing happens with two of my cards, not from these guys.